Last edited by mack8384; 01-26-2013 at 11:41 AM. I've always wanted a real SVD. Congrats, that's a really high dollar weapon you have there. I think less than 1,000 of those came into the US in that configuration. Last edited by Schuetzenman; 01-26-2013 at 04:41 PM. Thanx Schuetzman, But in actuality it started out as a regular B-West imported Tiger. 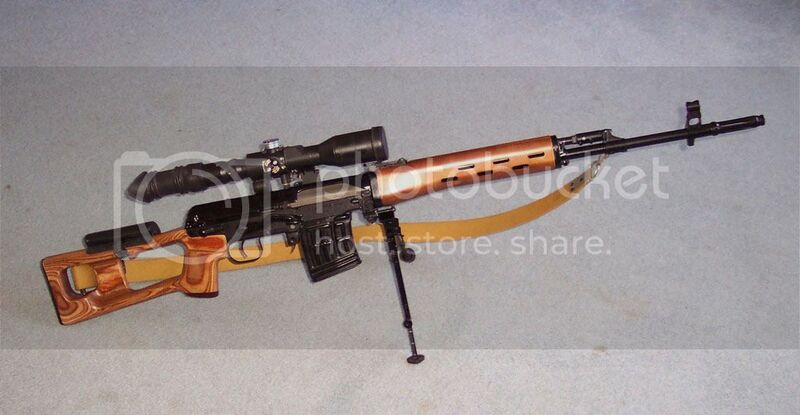 I added the russian furniture and the proper hooded front sight and flash hider from Dragunov parts.com (unfortunatly they are no longer in business) and accesories from Tantal. I also installed a modified adjustable gas piston. Too bad for the shorter barrel though or else it would be an almost perfect clone. Hey Mack did you put the flash hider on yourself? If you did does the pin only come out & go in in one direction? I have one I haven't installed yet & didnt know if it is a DIY item? nitewathcher, the FSB is actually the stock Tiger one. I installed a custom hood and silver soldered a custom flash hider from Dragunovparts.com years ago since FSB for SVD were amost non existent back then. Now with better availability of true SVD FSB it would be easier to install the complete unit. 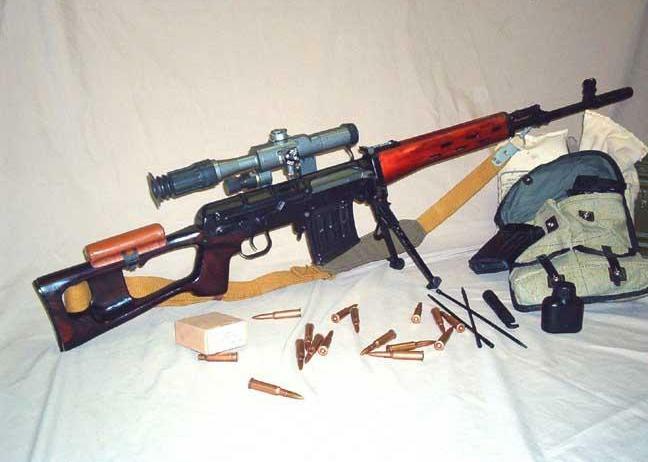 However the standard SVD FSB sits further down the barrel than the stock Tiger FSB. So once you get the SVD FSB seated to proper distance on the barrel you'll have to redrill the retainer pin holes in the barrel. The pins holding the FSB on the Tiger or SVD are usually very difficult to get moving. I've found that applying heat from a heat gun and then lots of penetrating oil help loosen the pin. Once the pin is drifted out (the pin looks to be straight rather then tapered but tends to move one way than the other more easily, probably in the opposite direction that it was pressed in from) be prepared for a battle to get the FSB off the barrel. It is an extremly tight press fit. If you don't have a proper press set up for the FSB then I'd suggest heat and pentetrating oil with a big rawhide/plastic mallet. Whenever I apply flame heat to a barrel I use Heat stop paste 9available from Brownells) to keep the heat localized. Before trying to remove your FSB mic out the barrel area and the internal diameter of the SVD FSB to make sure they are comparable. If you are lucky the SVD FSB will mic out slightly smaller than the FSB barrel area. You can ream out the SVD FSB to provide a .001-.002 interferance fit (FSB slightly smaller than barrel surface) It should press on very tight if the FSB is heated in an oven and with some lube and provide a nice secure fit. Then you will have to drill a new retainer pin hole/groove using the FSB holes as a guide. If you find that your SVD FSB is larger than your barrel you most likely will end having to silver solder it in place (silver soldier paste and Heat stop paste from Brownells) to prevent it from moving around. BTW- The painted surface of the Tiger Barrel doesn't stand up to flame heat very well . Thanks Mack I appreciate you taking all that time to explain it to me. That is way more than im comfortable trying to do. I think i'll take to the gunsmith I know. Its been way too long for me too! I just found this place again!